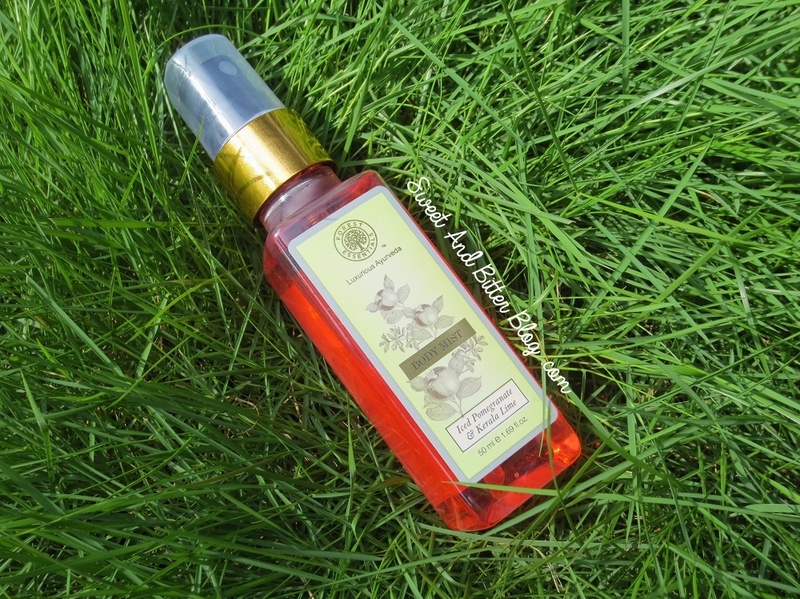 Forest Essentials Iced Pomegranate & Kerala Lime Shower Gel has a refreshing fruity citrus fragrance, lathers up really up and cleans easily. The shower gel is moisturizing and makes skin supple. 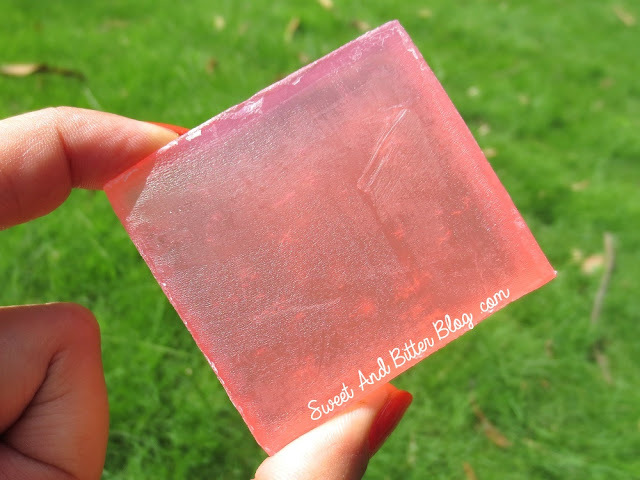 The fragrance is very light and hence stays for skin for a very little time. At times, it does not even transfer to skin. It is a perfect for summer but I really wish that the fragrance had stayed for longer. 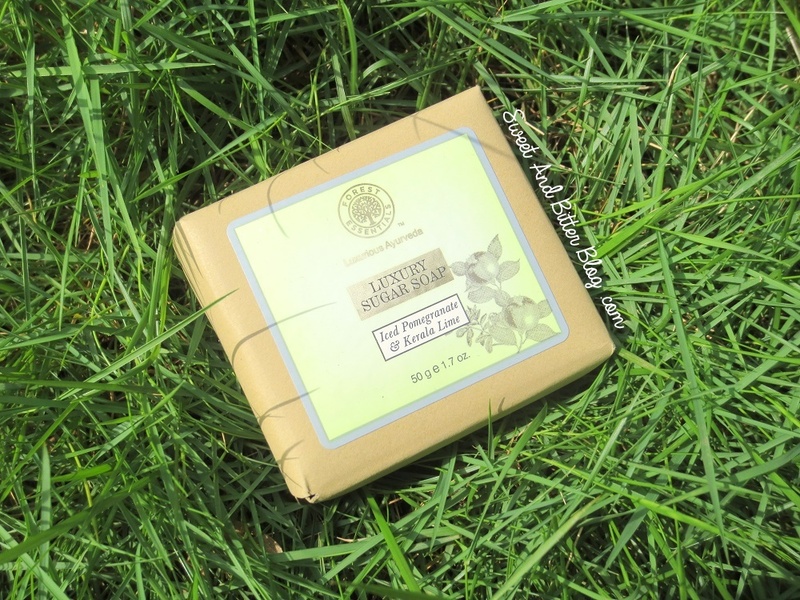 Forest Essentials Iced Pomegranate & Kerala Lime Luxury Sugar Soap smells sweeter and less citrusy than the shower gel. 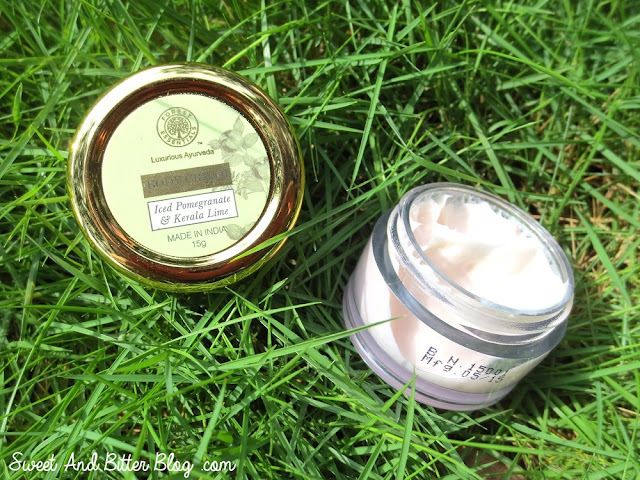 Forest Essentials Iced Pomegranate & Kerala Lime Body Cream is a fluffy body cream which is thick in the beginning but gets absorbed really quick. This has the mildest fragrance out of all the products and the smell is hardly detectable after you come out of the shower after using the shower gel or soap. 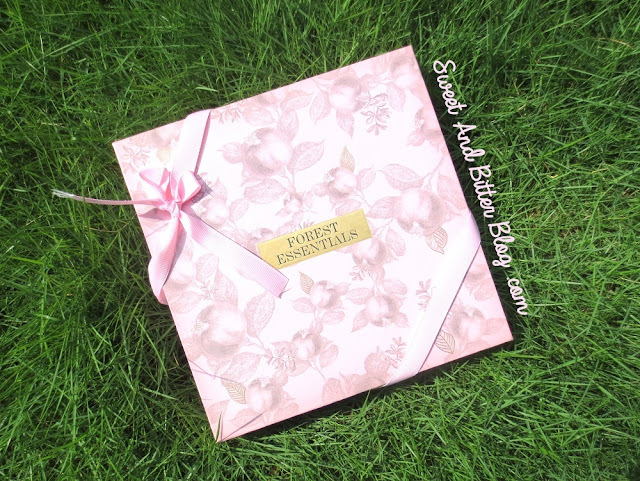 While I loved the cream but as one is paying for the fragrance is it not that great. 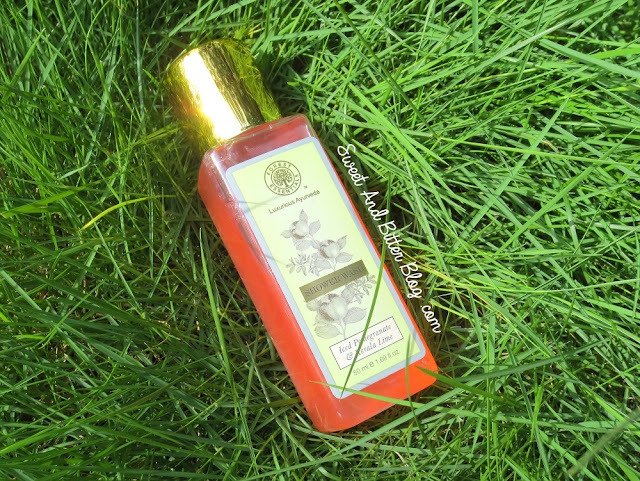 Forest Essentials Iced Pomegranate & Kerala Lime Body Mist is what I loved the most. It has bitter citrus fragrance which is energizing. The smell also reminds me of marigold. On top the body cream, the fragrance last for more than 5 hours (if I stay indoors). Also, the travel friendly packaging makes it easy to carry around. 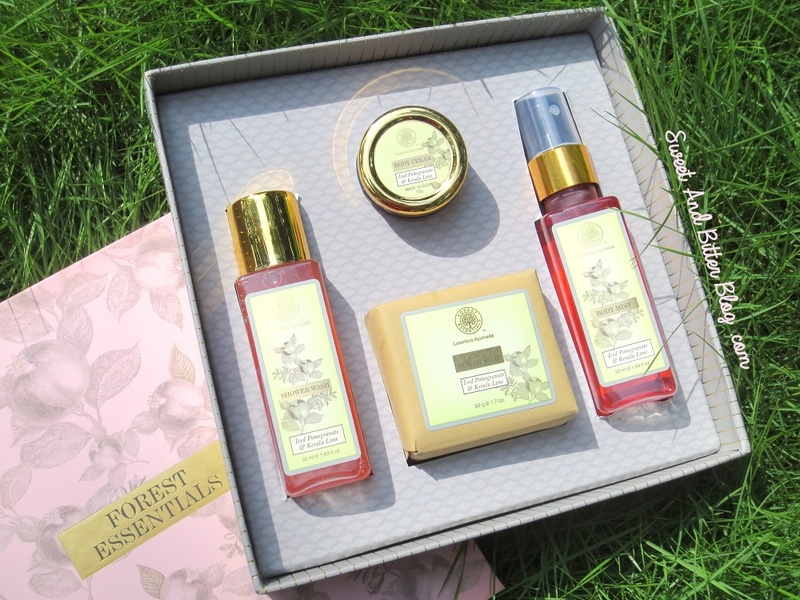 Overall – I loved the idea that I could try 4 products from the new range of Forest Essentials. 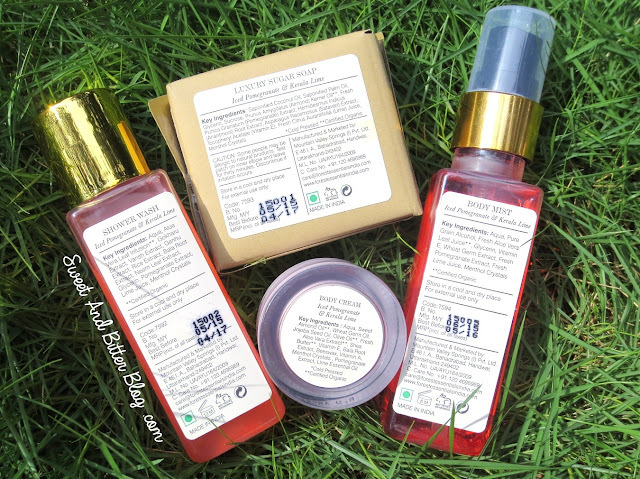 The Iced Pomegranate & Kerala Lime is a summer special range with a mild refreshing fruity citrus smell. 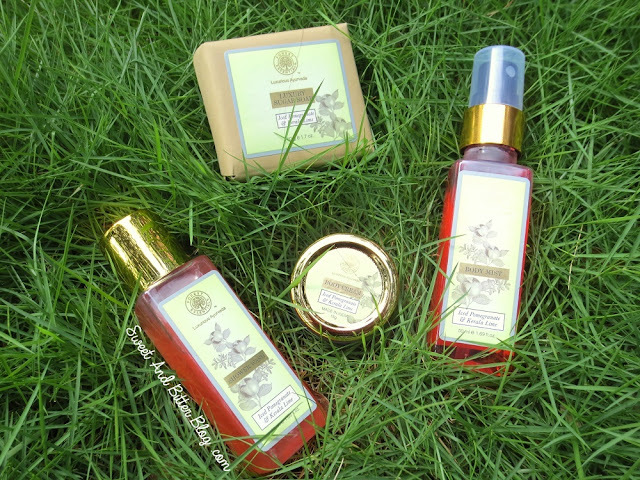 The fragrance of all the products in the range differs a little bit from each other. My favorite product in this range is the Body Mist. I didn’t expect the mild fragrance to last that long. Maybe using it on moist skin helped it to last longer. I also enjoyed using the shower gel but really would have loved it if the smell had lasted for long.